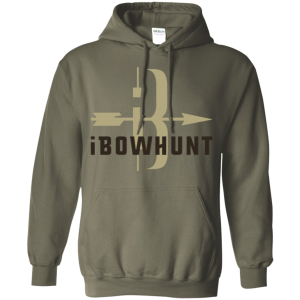 If you’re a bowhunter you’ve undoubtedly been there. Scouting, planting plots, hanging stands, doing all the work necessary, and then hunting hard and smart only to come away hunt after hunt empty handed. We have experienced just that this season. We are not new to bowhunting, we are experienced and know we are better bowhunters than this season has proved us to be, nevertheless, we became discouraged. We have sat countless hours through October in the stand. We hunt two properties, each one right at 180 acres with a good mix of timber, crops, bedding, and water. 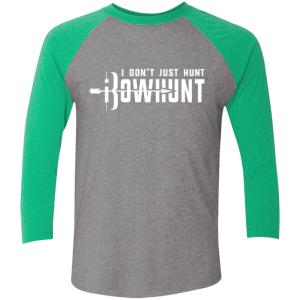 Each property has multiple stands in various locations allowing us to hunt the wind and weather, and yet, between the two of us at iBowhunt, we only have one deer down this season. The point of this blog post is to just tell those who have been, or are in the same situation with bowhunting, to not give up. Whether you’re new to the sport or a seasoned veteran, it can and likely will happen. Here are just a few things you can do to better your chances of not only seeing deer, but also filling the freezer. 1. Be persistent. It can all change in one hunt. As the mornings get colder and the sits get longer, the comfort of our beds start to sound better and better. Don’t let this overwhelm you. Get out there every chance you can. Nothing replaces time on stand. The more time spent hunting, the more opportunity you give yourself. 2. Go back to the basics. Go through a mental checklist and make sure you are not missing something obvious. As bowhunters we are not immune to making mistakes. Sometimes overlooked details can make the difference between success or going home empty handed. 3. Look for changing deer behaviors. Ever heard of the October lull? Deer don’t stop living, moving, and eating during October, they just change their behaviors. About the time the velvet comes off their antlers their hormones start to change as the rut looms closer. Deer behaviors and patterns subsequently change as well. Think outside the box and be willing to check different parts of the property. 4. Keep checking your cameras and make adjustments as needed. See above. Be willing to adjust to changing deer behavior. 5. Follow the food. With the crop harvest in full swing deer will be looking for alternative food sources. If you have food plots, focus there. Hunt stands that still have crops nearby. Deer need to eat, and they will follow the food. So should you. 6. Watch the weather. In my opinion the #1 factor that influences deer movement more than anything else is weather. There are many weather factors that I pay attention too, but the one I look at the most is barometric pressure. High pressure days have showed me the most movement. Specifically, rising pressure that is in the 30.0 – 30.6 range. 7. Last but not least, stay positive. Don’t take anything for granted. Remember that we are blessed that we get to spend time in the woods with our friends and family. I love listening to the awakening of the environment as the sun begins to rise. The deadening of the woods as the sun begins to set is equally as fulfilling. I look for wins regardless of the outcome of each hunt. Sometimes, that win comes in the form of watching a hawk needlessly searching for its next meal. Other times, it has been a family of raccoons making their way out a fallen stump as they work their way to the creek for their evening forage. Last but not least, the sound of my arrow as it leaves my bow and is looking for its mark. It doesn’t happen every hunt, if it did I wouldn’t be as interested.